In the world of fast-growing technology, the smartphone market is booming, and everyone uses at least one mobile phone. We use our phone to make calls, receive calls, send & receive SMS, and to use the internet as well. 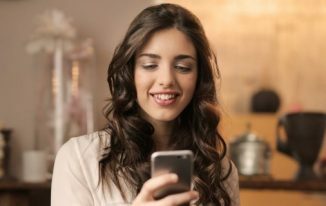 Ever since the mobile phones turned into smartphones, they have become multitasking such as you can use it as calculator, set alarms, keep a track of your steps using health app, keep reminders, watch videos, play games, use Internet, use GPS for location, book cabs, send payments, book air & train tickets, etc. There is a long list of things that you can do with one smartphone. Because of such usefulness, a smartphone has become an essential part of our lives. A day without our smartphone seems empty. 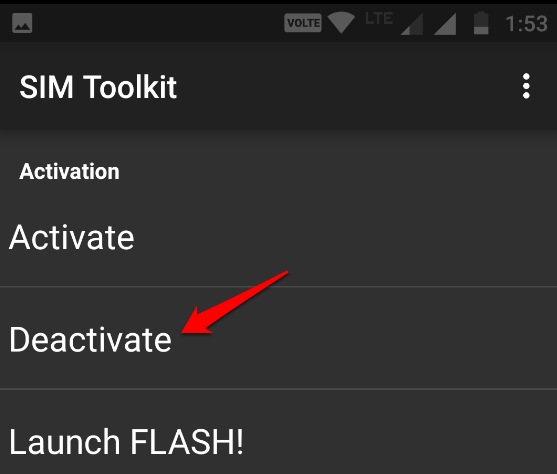 1 How to Stop Flash Messages on Different Mobile Network? 1.1 How to Stop Vodafone Flash Messages? 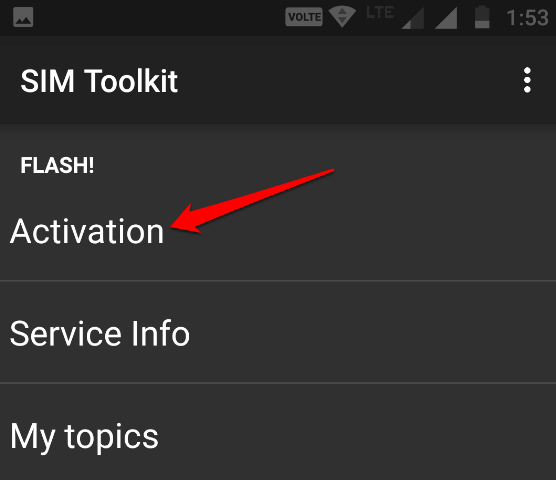 1.3 How to Stop Airtel Flash Message? 1.4 How to Stop Flash Message in Jio? 1.5 How to Stop Aircel Flash Messages? Our phone makes our life easier but as you know, to use a phone, you need a telecom connection which you get from Vodafone, Idea, Airtel, Jio, etc. you can choose anyone of your choice and convenience. Since these offer mobile network services, they have different plans and offers being launched frequently. And to promote those offers they do send SMS, and also show Flash Messages which I think no one likes because they keep popping up while you are using your phone. Sometimes those flash messages may annoy you to the core if you are in a hurry to make a call to someone, and a flash message just comes out on the screen. 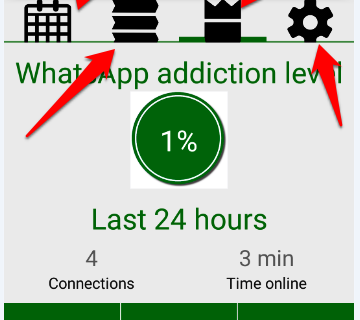 In this blog post, I am going to talk about stopping or disabling the Flash Messages in Vodafone, Idea, Jio, Aircel, and Airtel. 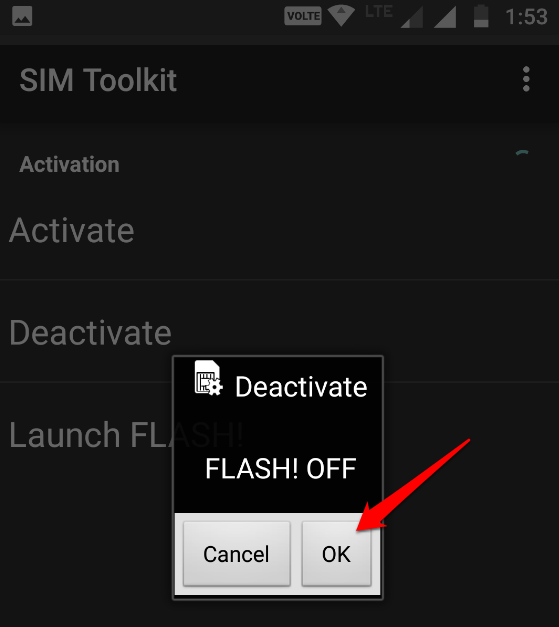 How to Stop Flash Messages on Different Mobile Network? 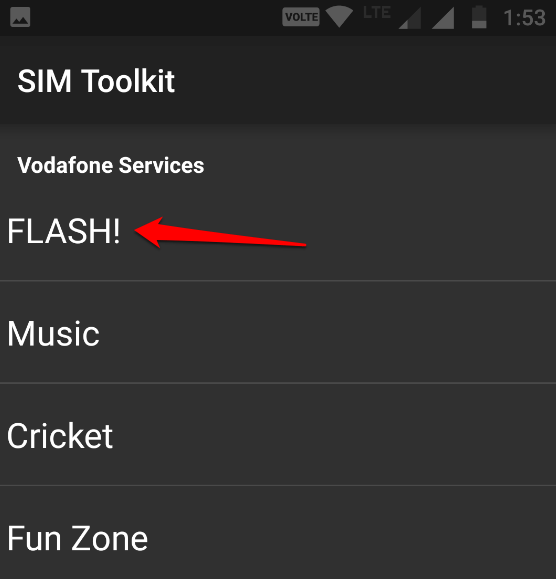 How to Stop Vodafone Flash Messages? 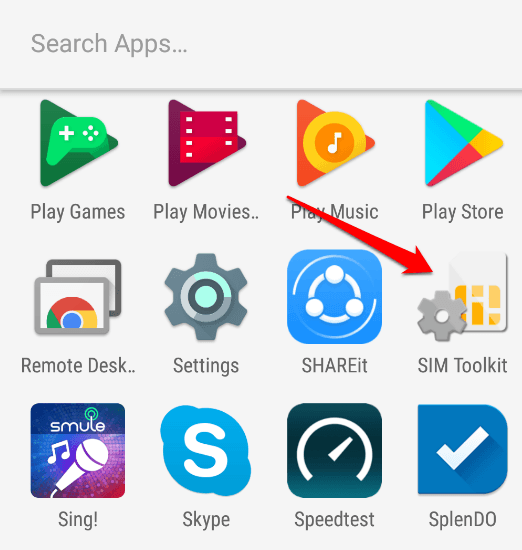 On your Android phone, go to SIM Toolkit. If you have two SIMs in your phone, you will see both there, Tap Vodafone Services. It will open the Vodafone Service screen. Tap FLASH! Just tap OK! Flash is now off on your phone for Vodafone. As you saw, it is very easy to stop Vodafone flash message. Follow the process, and stop Vodafone flash message in just a few seconds. I didn’t find any option to stop flash messages in my Idea. I tried searching in the Idea Power option, but nothing is there related to deactivating the flash message. However, on some phones, I saw that there is Idea flash message option is there. So, let me show you both ways. Go to Idea Power => Idea Flash => Activation => Deactivate. That’s it. You should not get any flash message after doing this on your Idea. How to Stop Airtel Flash Message? 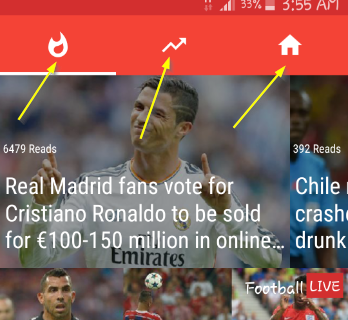 If you are using Airtel on Android phone, tap Airtel Live which you can see in the app section on your phone. If you don’t find it, then go to SIM toolkit, and then see, it might be there. Once you tap Airtel Live, you will see a lot of things there, look for Airtel Now! Tap it, and you will see Start/Stop, tap it. Then tap Stop. And, the Airtel flash message will be disabled. No more flash pop-ups. Moreover, if you don’t find Airtel Now!, then you can simply send an SMS “STOP ANOW” To 58234 from your Airtel. Flash message services will be deactivated. How to Stop Flash Message in Jio? I am using Jio SIM on my Android phone. Initially, I started using without its MyJio App but later I installed it, and I started getting flash messages in the form of pop-ups. That means they are coming because of the app installed. 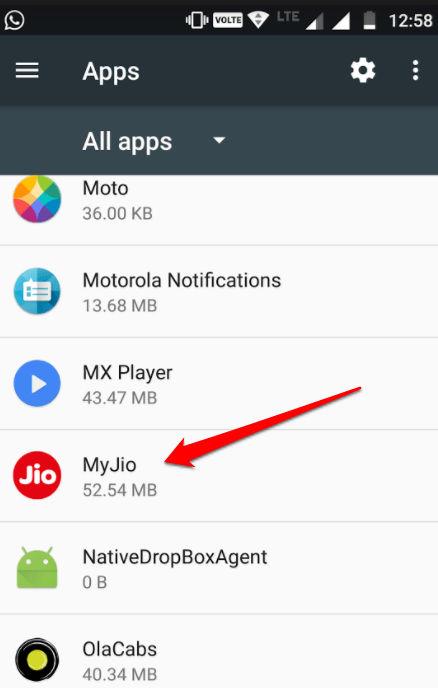 So, to stop flash in Jio, uninstall MyJio app. 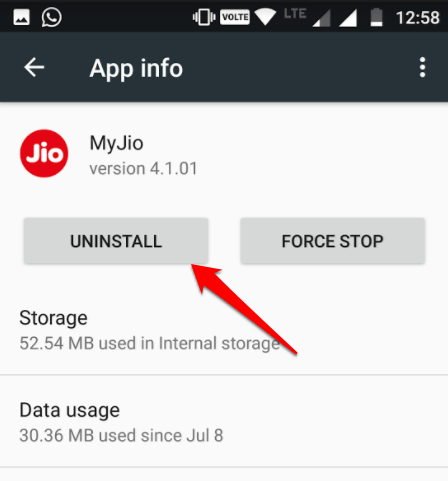 If you are unsure how to uninstall, just go to Settings => Apps, look for MyJio. Tap to open it where you will see two options: Force Stop and Uninstall. Simply tap Uninstall, and it will be uninstalled. Once it is uninstalled, you would not get any Flash service messages from Jio. 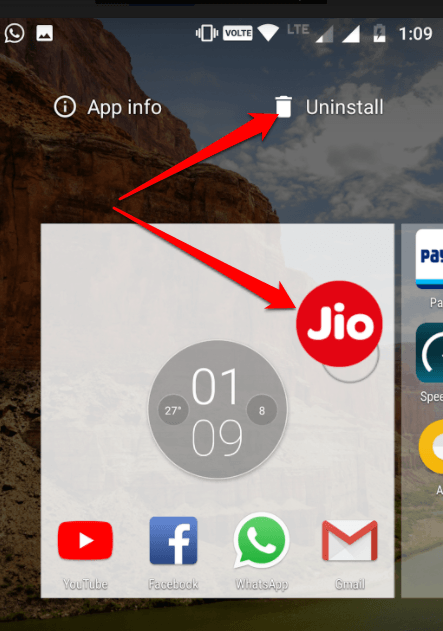 You can also uninstall the MyJio app just by simply long pressing from the home screen, and drag it to uninstall bin as you can see in below screenshot. There is one problem if you delete it which is you won’t be able to check your balance and data usage for which you were using MyJio app. So, if you really want to stop flash message then only uninstall it, and you can check the balance and data usage directly on Jio’s official site. How to Stop Aircel Flash Messages? Just reply with “Y” and send to 1909, and all the Flash messages from Aircel will be blocked. Flash messages are actually promotional messages that are sent by your telecom company to promote their offers. Sometimes, if you just select the wrong option without reading the message, some services are subscribed, and money gets deducted from your main balance. That is the reason no one wants to get such flash messages. Besides this, these flash messages are annoying too because they show up on your phone screen quite often while you are typing SMS to someone or playing games, or even going to make calls. That is the reason; all of us want to get rid of such promotional flash messages. You can try out the ways mentioned above to disable flash messages in Vodafone, Idea, Aircel, Airtel, and Jio. If you have any questions, do write in the comments. I will try my best to respond with some solution. Hello Raja, Visit this link => https://www.vodafone.in/dnd and there fill the details, and DND will be activated. Hi Atish, I did exactly as you told and have also tried it many times. But, I still get flash messages on my Android phone. Is that because I am using Airtel sim or some other issues are there? If this is not working for you, try activating DND once. Or call customer care and tell them the issue. They might help. Hello Atish, Can you help me about to Stop Reliance 4G offers Call, its sounds goes ****, I cant tell about. Hello Umesh, I would advise you activate DND on Reliance. Are you using Jio? No my friend, i am using Reliance 4G thats why i need information about. Hello Umesh, I am not using Reliance 4G, So I haven’t tried it but I am sure if you can go to SIM Toolkit, see if you find Rlive. If yes, tap Activation, and then tap deactivate. I am sure, this way you will be able to do. Hello Atish, Can you help me about to Stop Idea 4G offers Call? Try to search on Gogle with the same type of title as this content and then you will find on yahoo ! I am a Jio user and I get pop up messages very often. I have uninstalled My Jio app and now those annoying pop ads are gone. Thanks for this informative article. Really helped me a lot. please tell me how to stop POP UP msg and pop up msg and flash msg is same or note. 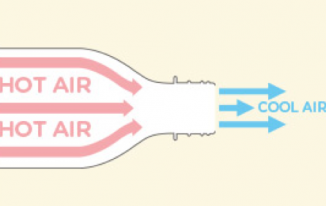 If you try these tricks, both will stop. Basically, they are same because they are just advertising offers which are done in different ways. Sometimes you get pop ups, sometimes flash message. This is a great tip as i am fed up with spam message on my mobile phone. I think the previous owner of my sim card has registered the no with so many services so every day i receive at-least 100-150 sms that i want to stop but was not able to stop. Hope this trick will help me a lot to do this. swarnima recently posted…Why do we have only 33% marks as passing criteria? Thanks for the guide Atish brother. I was fed up with Idea’s flash service which was popping up every minute for no reason. Finally got it fixed with your help. 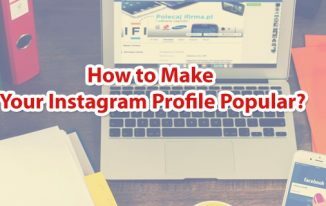 Atul Host recently posted…How to Find Free Images for Your Blog Post? 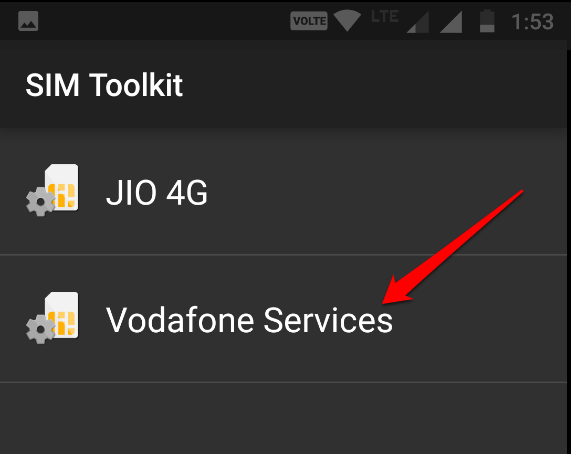 In the SIM Settings, I only see Vodafone Roaming – does not have any other option. I use a Samsung C9 Pro – could you let me know any other alternative? Hello Rajagopal, you don’t have to go to SIM settings but you need to go to SIM Tool kit. If on your phone they are same. Then just tap Vodafone, and see for “Flash”. If you find, you can do as mentioned int he article. What is the problem you are facing then? I don’t have JIO SIM on my android phone and neither My JIO App, but still I am getting JIO flash messages which are very annoying. Previously I was using JIO sim and had My JIO app but now from a long period of time, I didn’t have anything from JIO on my android phone. Could you please help me how to stop those Flash messages from JIO. Generally flash messages come when Jio app is installed but since you have deleted in the past. It should not happen. If you can backup your data and reset phone ones to check? No guarantee but you can try once.